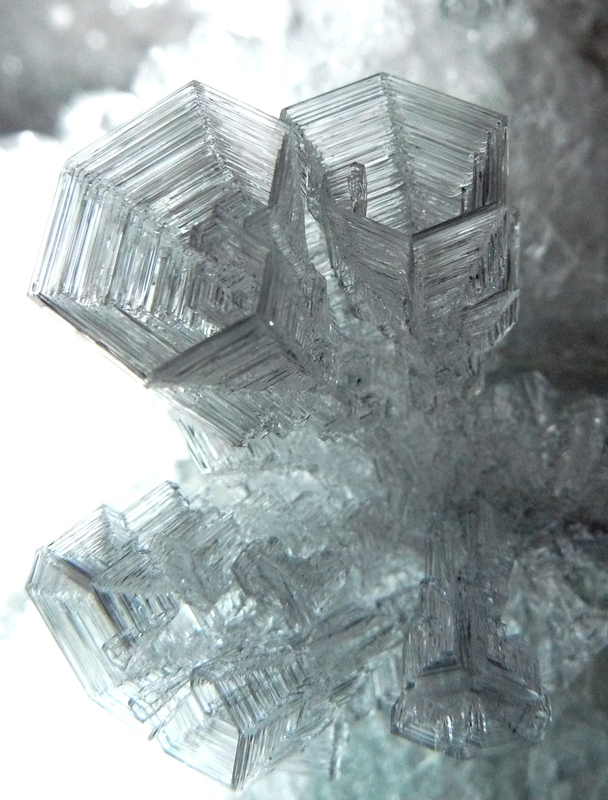 Nice cluster of skeletal crystals of ice, grown on the wall of abandoned adit of the mine. Temperature and humidity in this part of the mine located at about 3000 meters above sea level are rather constant for years. Ice crystals grow from the underground vapour up to 10-20 cm. Length of the crystals in the photo is 5 cm.